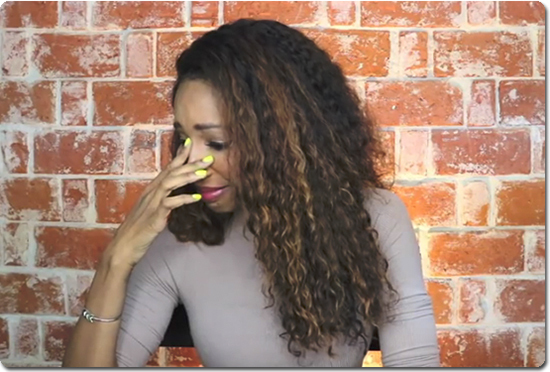 The blog world is buzzing about blogger Necole Bitchie‘s Come To Jesus moment in a tear-soaked video posted on her Youtube.com channel on Wednesday. Last year, Necole shocked millions of readers by announcing she was shuttering her wildly popular gossip blog Necolebitchie.com. Nearly a year later, Necole is flat broke and nearly homeless. It was a spectacular fall from grace for a woman who was once the most celebrated black blogger in the blogosphere. What most people don’t know is that Necole built her audience by poaching readers from another top black blogger in 2007. She craftily used that blogger’s platform to launch Necolebitchie.com in late 2007. Necole was one of the first black bloggers to hire a publicist to walk her down red carpets at celebrity events. The strategy worked. The publicity helped take Necolebitchie.com to #1 in the black blogosphere. 8 years later, in her final post in July 2015, she announced she was quitting blogging to find a “higher purpose” in life. Necole resurfaced in August 2015 with a new blog called xoNecole.com. Despite her lofty ambitions for the new blog, xoNecole never really took off. On Wednesday, Necole posted a deeply personal Youtube video titled “#1: What They Forgot To Tell Me About Leaving A Successful Brand”. In the video, Necole revealed she was penniless and nearly homeless. Fighting back tears, she said she text her aunt to ask if her old room was still available. “I went from on top… and almost a year later… asking my aunt can I move back home,” she said. She now says she regrets her overly ambitious decision to launch xoNecole.com as some sort of inspirational blog for young black women. This entry was posted in Culture and tagged Black Bloggers, blogger, Celebrity Blogger, EccentricGLOW, Gossip, Gossip Blogger, Las Vegas Blogger, Necole Bitchie, Sandra Rose, XONecole, YouTuber. Bookmark the permalink. Sad to hear this happened but she can definitely bounce back. If she found the secret to making a successful career before, she can certainly do it again.